Please CLICK HERE to visit our Etsy shop if you need a CUSTOM ORDER. Enjoy our new site and reach out to us if you have any questions! A Palace Gallery original! 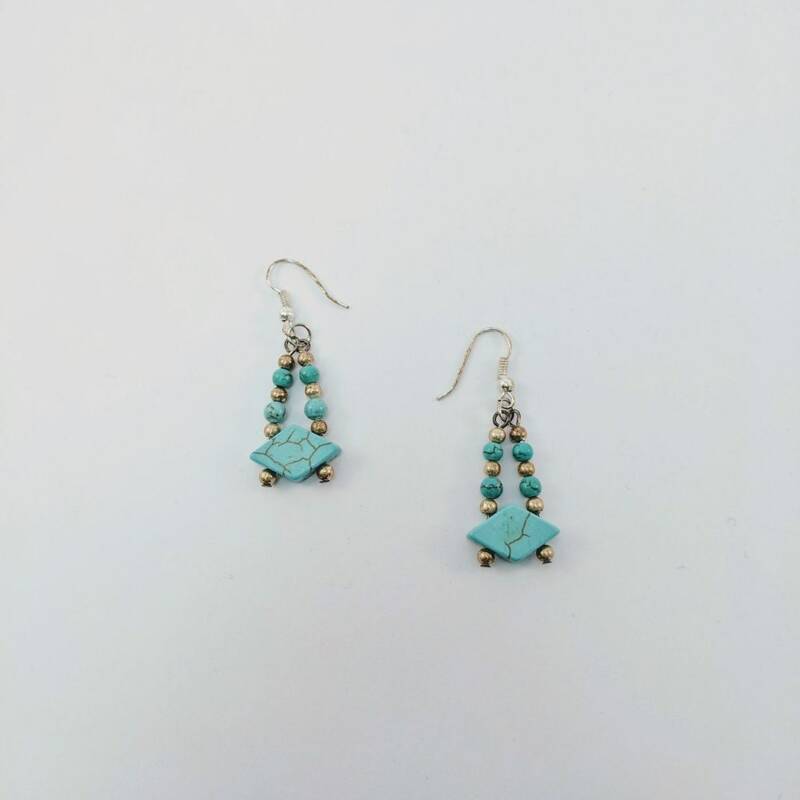 A unique pair of earrings with a 10x17mm turquoise diamond shaped bead as the focal point. There are 4mm turquoise round beads and silver spacer beads to complete this unique pendant which is attached to a handmade ear wire. Stunning! The overall length of the earring is approx. 2" from the top of the hook to the bottom of the dangle. Shipped on a black velveteen earring card. We ship via USPS Priority Mail with insurance so that you can track your package on-line. The matching bracelet shown in the last picture are listed separately. 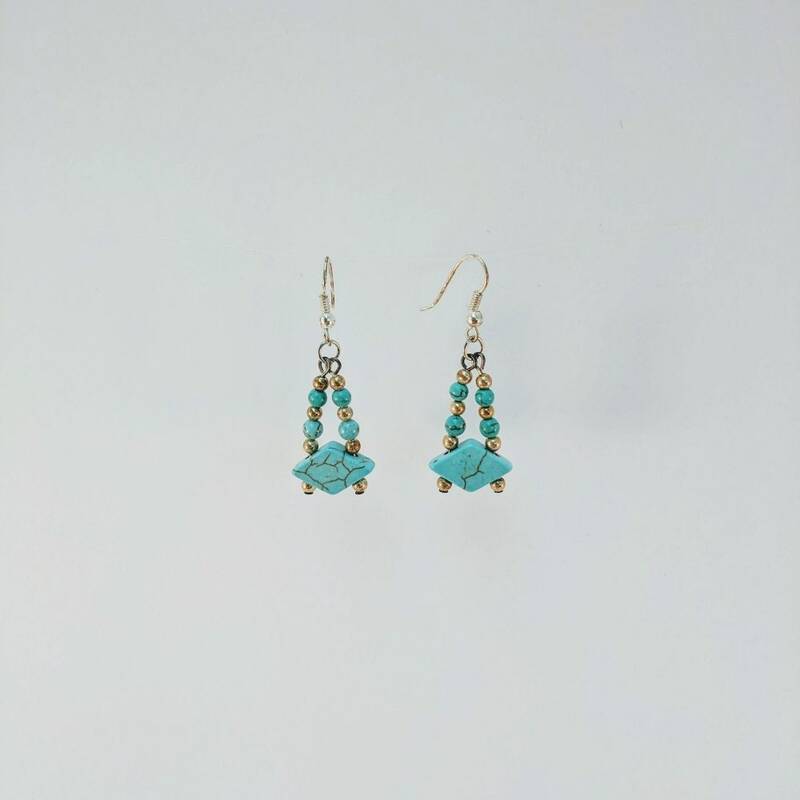 The birthstone for December, Turquoise was popular in ancient Egypt, China and Aztec cultures. It is still used by the Native American tribes and has always been considered a stone of life, beauty and good fortune. As the stone of communication, it encourages enthusiasm while attracting prosperity and success. **Please note that all metaphysical or healing properties listed are collected from various sources. This information is offered as a service and not meant to treat medical conditions. Palace Gallery does not guarantee the validity of any of these statements. 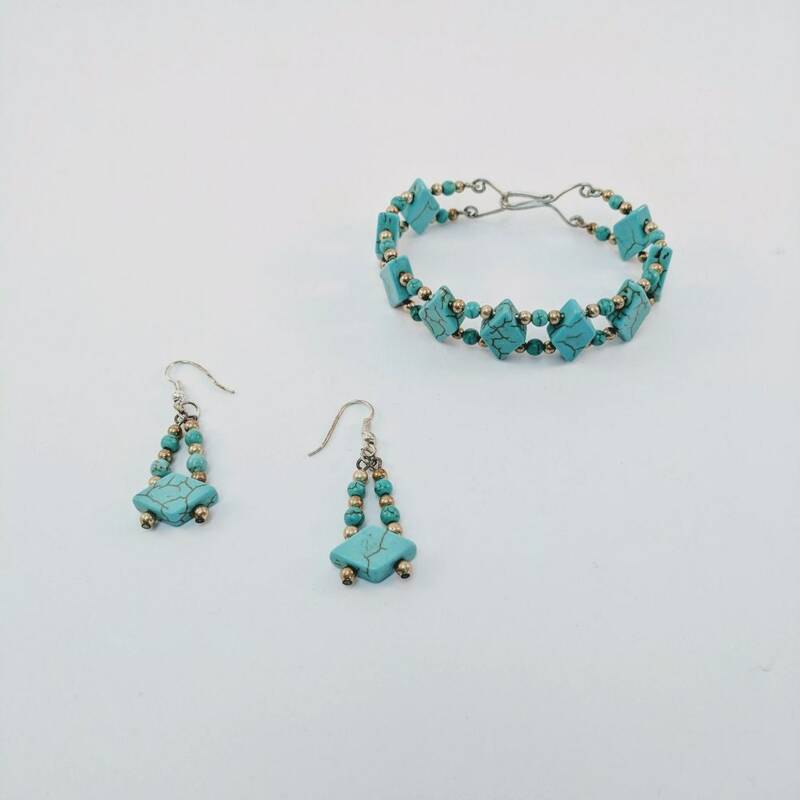 Our New World Jewelry section contains other turquoise items.